Interested in Trump getting another pick while the body decays further........... oh yea & see the left's heads explode! You know we all love ruthie. We should start a fan club. Oh I get it a "fan" club. I am thinking I should 911 her to the cops for a welfare check.....you know thed have to go in. Oh, good one! I didn't recognize her from such a distance. Can't miss my bud, the Grim Reaper! Oh I see it ruthaintnobaby...got it. 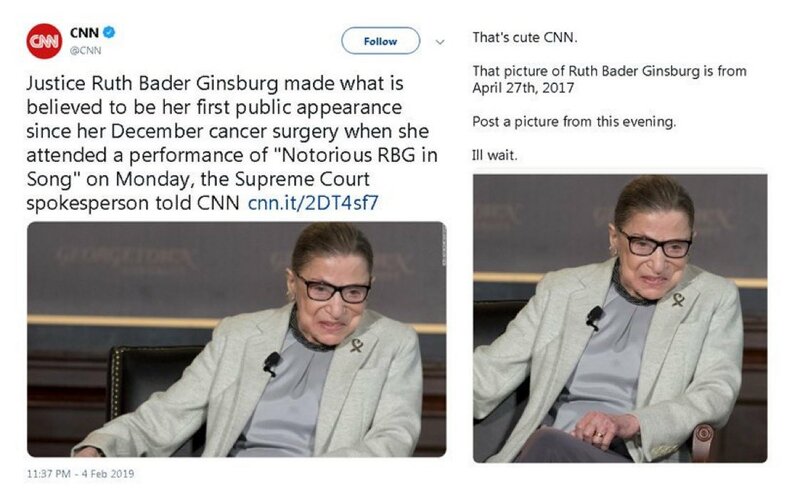 Heck, I thought that was Ruthie is her Judge's Robe. ^ I hope they followed it. Is someone "pressing a ham" against a window? When does she have to show up for court? I mean, isn't there a requirement that she be seated on the bench for oral arguments?? 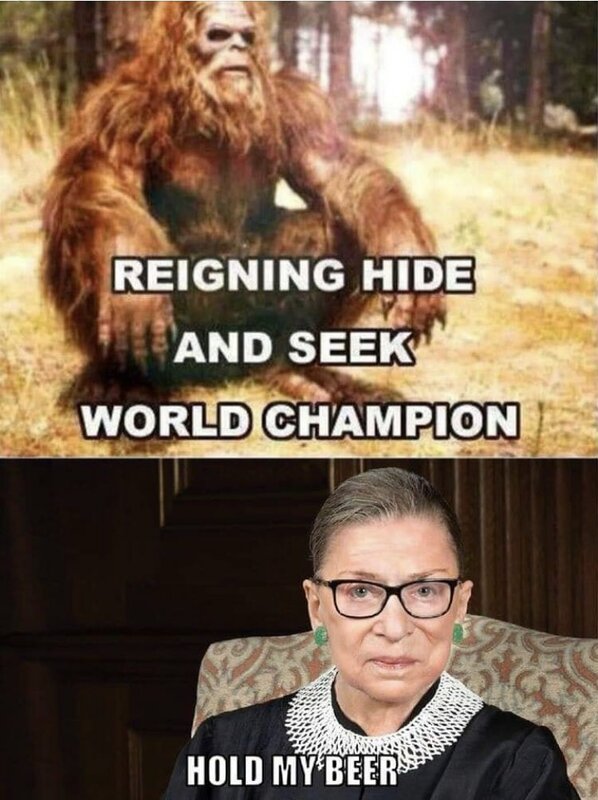 The Pukes are pussies and won't press too hard to force them to produce a living, breathing coherent Ruthie as proof she isn't DED! They'll carry this forward for months if they have to and the Pukes won't lift a finger. I mean, isn't there a requirement that she be seated on the bench for oral arguments?? 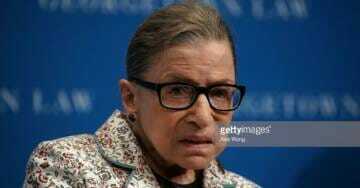 Ginsburg, 85, had surgery to remove cancerous growths Dec. 21Ruth Bader Ginsburg in New York on Dec. 15, 2018. Supreme Court Justice Ruth Bader Ginsburg made her first public appearance since undergoing cancer surgery in December, attending a concert in her honor in Washington on Monday evening. 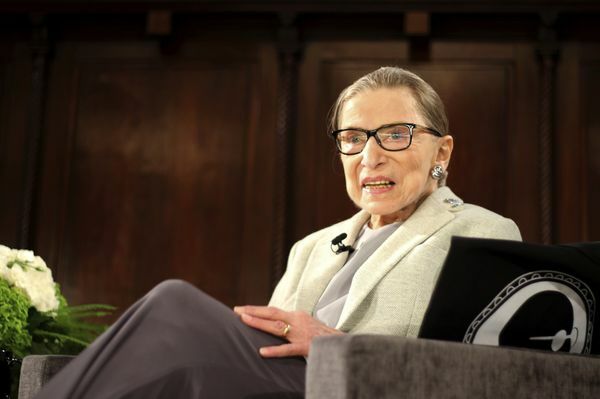 Ginsburg, 85, had two cancerous growths removed from a lung on Dec. 21 and missed the court’s two weeks of arguments in January. She has been working from home and participating in cases by reading briefs and transcripts, the court has said. Ruth Bader Ginsburg speaks in New York on Dec. 15, 2018. The 75-minute concert, titled “Notorious RBG in Song,” is a tribute to Ginsburg’s personal and professional life. It was written and performed by her daughter-in-law, soprano Patrice Michaels, along with other musicians. 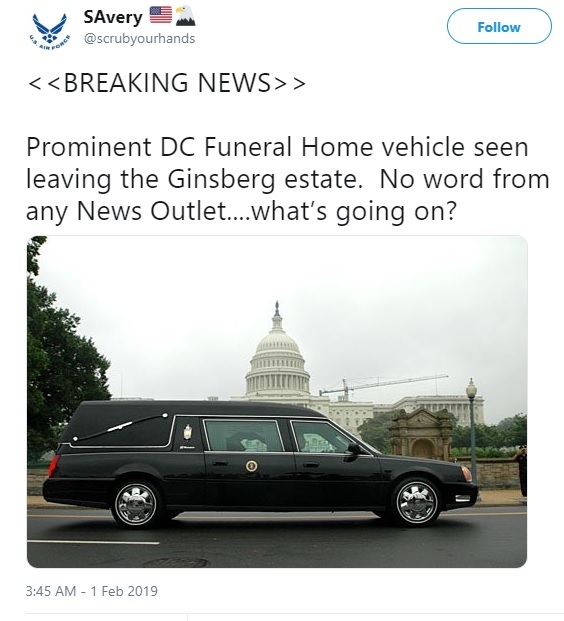 Supreme Court spokeswoman Kathy Arberg confirmed Ginsburg’s attendance at the concert. The justices are next scheduled to take the bench on Feb. 19.
did they find the double? I didn't see an article on Ginsberg at your link...?? No pictures, just a Bloomberg article saying she was there. I believe them, don't you believe them? Why would anyone not believe the media? Funny how CNN can get video of early morning Stone raid but some how no current RGB picts. The left can and does feck up EVERYTHING they try to do. RGB is a gone beaver and they can't do anything about it. I forgot, we'll see her tonight @ the SOTU address. Right? Yep. I'm thinking at least a cardboard cut-out. She's gotta show up now!